Ayatollah Sobhani stated that Wahhabis consider the celebration of the birth of the Prophet Muhammad as an innovation which is not mentioned in the Quran but stressed that this issue has been indeed emphasized in the Quran. 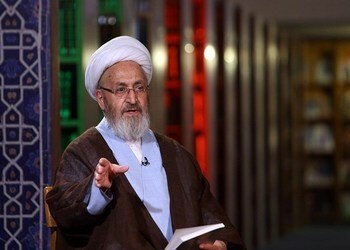 Responding to a question from a viewer during his nightly television program “Spring of Knowledge,” which is broadcast during the holy month of Ramadan, Grand Ayatollah Ja’far Sobhani, referred to one of the objections of Wahhabis, the issue of the sanctity of celebration the birth of the Prophet Muhammad, saying “Muslims around the world celebrate the 12th until the 17th of Rabi’ al-Awwal as the birthday of the Prophet Muhammad but at the same time the Grand Mufti of Saudi Arabia, Abdul-Aziz ibn Abdullah Al ash-Shaykh, says this is heresy and an innovation because the companions did not do it. In response, the revered source of emulation explained that from the perspective of the Holy Quran, innovation is something which is not rooted in the Quran or in religious proof. “But if an issue has roots in the religion it is not an innovation. Even though this celebration does not have specific proof but we use custom as proof and those verses of the Quran which command us to revere the Prophet,” he said. Ayatollah Sobhani said that the mistake of Wahhabis is that they do not heed the Quran and added that in Surah al-A’raf, verse 157, it is obvious that the duties of the believers in regard to the Prophet Muhammad is to have faith, respect, adherence and to assist him. “Thus reverence toward the Messenger of Islam is a principle of Islam and the Quran,” he stressed. Ayatollah Sobhani said the Christians commemorate this event as the Last Supper and if the Last Supper was able to full the Apostles’ stomachs and they have permission to celebrate this event until the Day of Judgement, why can’t Musims celebrate the Divine Table that is the Prophet Muhammad who satiates the world? “Is not the celebration of the Prophet Muhammad’s birth not greater and worthy of being celebrated?” he said, stressing once again that it is not an innovation.